Gillian Anderson returns as Detective Superintendent Stella Gibson in The Fall. She has arrested Paul Spector (Jamie Dornan) - but will he survive the gunshot wounds? Will he ever face justice? Spector is rushed to Belfast General Hospital where Dr Joe O'Donnell, Nurse Kiera Sheridan and the staff engage in the blood-soaked fight to keep him alive. Stella is shocked by Spector's journal illustrating his crimes though aware it can be used as evidence against him, since he is claiming to have no recollection of any events during the past six years. Healy tries to use this to prevent his standing trial at the preliminary hearing but the district judge commits him to crown court, ordering his detention at a secure psychiatric hospital under the supervision of Dr Larson. 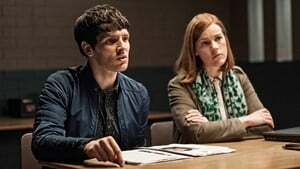 Meanwhile Tom Anderson tells Stella that David Alvarez, who was in the same care home as Spector, was imprisoned for murder in London in 2002. Gibson is faced with the shocking impact Spectors crimes have had on his family. She is also asked to hand her personal dream diary in as evidence and calls Spector a contagion that is still able to harm anyone that crossed his path even though he is incapacitated. Spector is confronted with audio and video recordings of him talking about his crimes. Spector is transferred from Belfast hospital to a high security psychiatric institute and still seems to have 6 years memory loss. Rose opens up to Gibson about the details of her relationship with Spector. Dr Larson begins his assessment on Spector, who opens up about the life he can remember before his amnesia, while the killer's legal team remain determined he will never stand trial, bringing Gibson's conduct under further scrutiny. A psychological thriller that examines the lives of two hunters. 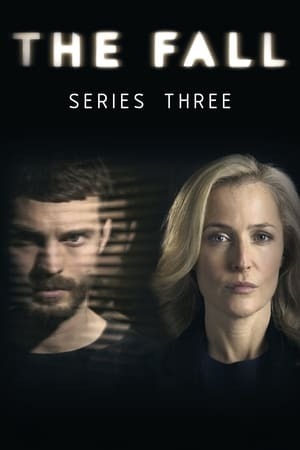 One is a serial killer who stalks his victims at random in and around Belfast and the other is a talented female Detective Superintendent from the MET who is brought in to catch him.